She had a tummy tuck five weeks ago, and now Shanna Moakler is showing off the results on Instagram. Shanna posed in a two-piece, revealing her tiny midriff. The former Miss USA and mother of three said she was feeling “a ton better” and “can’t wait to get back to the gym.” She included the hashtags #tummytuck and #mommymakeover. In earlier posts, Shanna noted that she would be having her “tummy muscles fixed from pregnancies” and was hoping to have a smaller bootie after the operation. Moakler plans to share more of her story on YouTube soon. 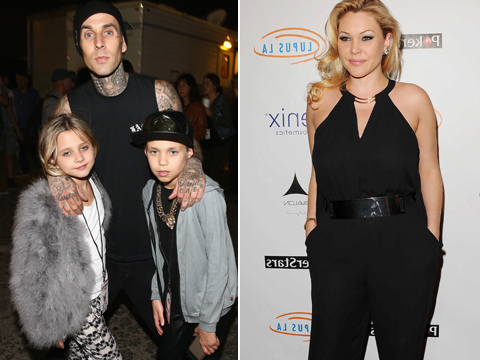 The 43-year-old is mom to Atiana de la Hoya, 19, with ex-boyfriend Oscar de la Hoya, and Landon, 15, and Alabama, 12, with ex-husband Travis Barker.